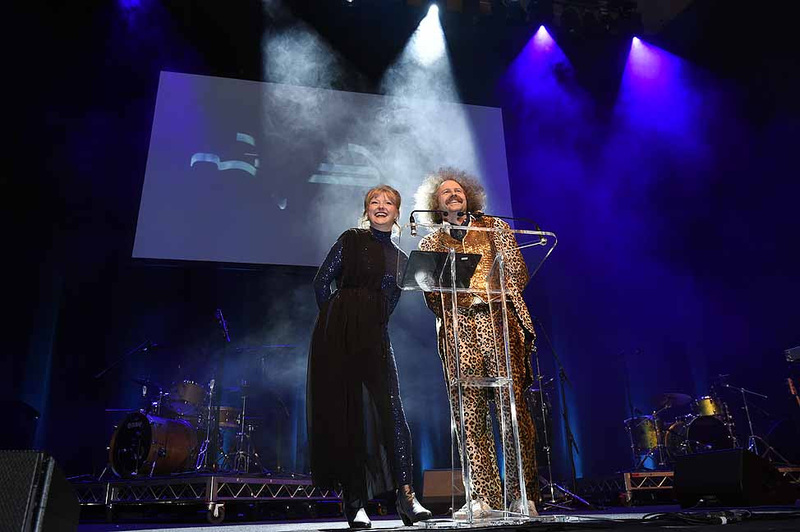 The 2018 edition of The Age Music Victoria Awards was certainly one to remember. Settling into a new home at The Melbourne Recital Centre, the Victorian music industry gathered to recognize the outstanding achievements of our state’s music community and celebrate the best releases, performers, venues, and festivals of the past 12 months. In an Awards first, the night was a seated affair, with a red carpet entrance setting the scene for one the most anticipated music industry events on the Melbourne Music Week calendar. The Age Music Victoria Awards began with a Welcome to Country by N’arweet Carolyn Briggs before kicking off with the first of many live performances with Mildlife’s ‘Magnificent Moon’. Once again hosted by Chris Gill and Lyndelle Wilkinson of co-presenting partners RRR 102.7FM and PBS 106.7FM, last night’s awards saw some familiar faces gracing the prize-winners’ stage on multiple occasions as well as some first-time awardees. Internationally renowned Melbournian, Courtney Barnett, and rising star Baker Boy dominated the Publicly Voted Awards. Barnett took home awards for Best Solo Artist, Best Female Musician and The Premier’s Prize for the Best Victorian Album of 2018, which came with a $10,000 cash prize. 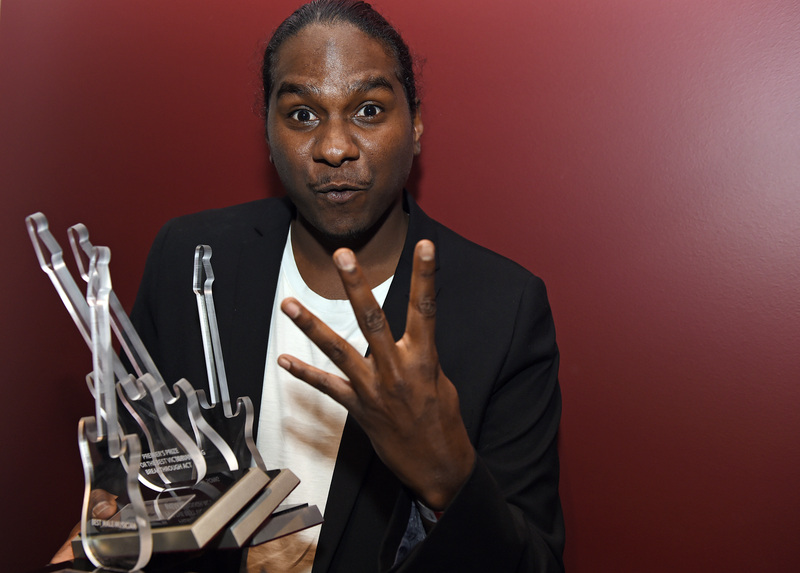 Awards first-timer Baker Boy took out four gongs for Best Song, Best Male Musician, Best Live Act and The Premier’s Prize for the Best Victorian Breakthrough Act of 2018, which came with a $5,000 cash prize. Rounding out the 2018 Publicly Voted Awards winners were Camp Cope, who were awarded Best Band; The Northcote Social Club, which was awarded Best Small Venue, and The Corner Hotel claimed Best Large Venue. Performances from Evelyn Ida Morris and Baker Boy completed the first half of the official ceremonies before the Publicly Voted Awards began. 2018 heavyweight Angie McMahon delivered a stunning performance of her single ‘Slow Mover’, and the Industry Voted Awards saw the soulful Kaiit take home The Archie Roach Foundation Award For Emerging Talent with a $2,000 cash grant, presented by Awards Hall of Fame inductee Archie. $3,000 Bendigo Bank cash prizes were awarded to the Best Regional/Outer Suburban acts and venues with This Way North, Karova Lounge Ballarat, and the Meeniyan Town Hall. The audience witnessed a truly special moment with the spine-tingling performance of “Bye River” from multi-award winner Sampa The Great and her 16-person choir. 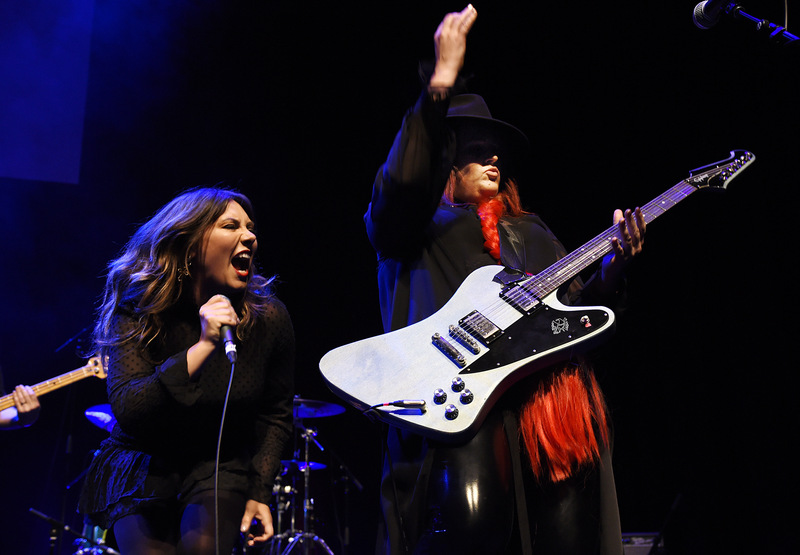 The evening concluded with the 2018 Age Music Victoria Hall Of Fame inductee Chrissy Amphlett, whose acclaimed career was celebrated with a video tribute, touching speeches from her cousin and mentor Patricia Amphlett (Little Pattie) and Matt Forster before Australian rock royalty, Ella Hooper and Dallas Frasca delivered a rousing live version of Divinyls’ ‘Boys In Town’. Music Victoria and The Age would like to thank The Premier of Victoria, Bendigo Bank,APRA/AMCOS and the Archie Roach Foundation for their generous cash contributions, the awards partners, sponsors, volunteers, performers, and the general public for voting, attending and being a part of a truly incredible Awards and another amazing year in Victorian Music. Earlier in the evening the Minister for Creative Industries Martin Foley congratulated the nominees and winners on stage and announced if re-elected the Andrews Labor Government will stage a 10 day, state-wide music festival – Victoria Live creating jobs, boosting business and cementing our status as the music capital of Australia and the world.“We’re proud to support these awards, and it’s just a small acknowledgement of the economic, social and cultural benefits music brings to our State,” stated Minister for Creative Industries Martin Foley.